Working from home can be a reality if you’ve always craved flexibility in your daily schedule. Some people have a strong idea of what they want in a work-from-home job while others may not know where to start. As with any job, having experience can be valuable, but it’s also not everything. There are several different entry-level, work-from-home jobs that pay well enough that you can be profitable even when you’re just getting started. If you’re looking to work-at-home as an employee, there are plenty of opportunities from which to choose. More and more companies are choosing to hire remote employees for a variety of tasks. Here are some of the best positions that pay well. American Express: American Express hires virtual travel consultant and customer service workers. Average compensation is $17 per hour. U-Haul: U-Haul hires remote sales and reservations agents to answer incoming calls and provide technical support. Benefits like dental, vision, and healthcare are provided to full-time employees, and you can earn $14-$18 per hour depending on your ability to earn bonuses. SYKES was rated No. 15 by FlexJobs on the2018 list of 100 Top Companies with Remote Jobs. They hire work-at-home customer service agents across the U.S. and pay is reported at $10-$13 per hour. Working Solutions hires work-from-home customer care agents to handle inbound and outbound calls for clients needing senior living care. You can expect to earn $12 per hour with this position. LiveOps hires home-based agents to provide customer service, inbound sales, and technical support to their clients. Agents can schedule their time in shifts as short as 30 minutes. Compensation starts at $0.25 per minute of talk time, so you could earn $15 per hour of talk time as you help customers. If you like to teach or you excel in a particular subject, consider becoming an online tutor. You don’t need a teaching degree for some positions, and you can work remotely with students. Chegg Tutors is easy to sign up for and pays $20 per hour weekly via PayPal. Tutor Vista requires you to work a minimum of 4 hours per day and be a postgraduate in your desired tutoring subject. Tutor Vista pays based on skill level. While they prefer teaching experience, it’s not required. Data entry is one of the most common entry-level work-at-home jobs to start. Companies hire remote data entry workers to help them keep up with their records and transfer information. If you can type and follow directions, consider trying companies like SigTrack, Clickworker, and Smart Crowd. What you can earn varies depending on the task, but some companies have an accuracy rating payscale like SigTrack. For example, the fewer errors you make, the more you’ll earn. Transcriptionists take audio and video clips and turn them into text. If you can type well and efficiently, there are plenty of entry-level transcriptionists jobs from which to choose. Most companies will pay you per audio minute and not based on how long it takes you to transcribe the content. For example, if you spend 60 minutes transcribing a 25-minute clip, you may only get paid a rate based on the 25 minutes of audio or video you were given. Scribie hires entry-level freelance transcriptionists and pays $0.10 per audio minute. Aberdeen pays transcriptionists $1.00 per audio minute. As your experience grows, you can also consider their Real-Time Captioner position which pays $75 per hour. Rev is a captioning and transcription company that pays between $0.36-$0.65 per audio minute for transcription. Birch Creek Communications pays $0.40-$1.75 per audio minute. 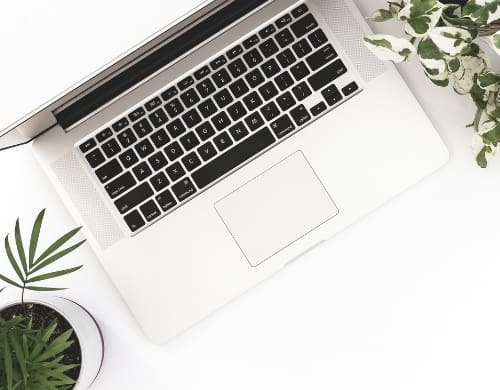 If you want to boost your chances of landing a work-from-home transcription job, consider taking an online course like Transcribe Anywhere to learn the basics of transcription work and to boost your skills before applying for a position. This is a non-phone remote job that allows you to evaluate and improve the search engine’s results so users can more easily find what they’re looking for online. After applying, you’ll need to pass an exam in order to work with most companies, but this isn’t a super technical job at all. Companies like iSoftStone and Appen hire search engine evaluators. Appen pays $14 per hour. Virtual assistants perform a variety of tasks, including blog management, social media scheduling, checking emails, scheduling meetings, sending invoices, editing, and so on. The great thing about working as a virtual assistant – or VA – is that you don’t need a ton of experience and you can choose your niche. Do you like social media or prefer outreach and scheduling appointments? You can find clients based on your preferences and any experiences you have. Freelance VAs set their rates and earn an average of $19 per hour, but many make as much as $35+ per hour. There are also a few companies that hire VAs to do different tasks. In this case, you won’t have to find your own clients, but you also won’t have much control over what you earn. Sites like Zirtual, 99 Dollar Social, Time etc., and Fancy Hands are all great places to start looking for work if you don’t want to find your own clients. Do you enjoy writing? Then get paid to write articles and blog posts for other websites. You can even write via other platforms whether you want to write for magazines, be a copywriter, or write resumes. You don’t have to have a journalism degree or specialized experience to make money as a freelance writer. Just choose a niche to write in and grow your skills over time. You can pick up gigs using sites like Upwork, Fiverr, Pro Blogger, and FlexJobs. Freelance writers typically get paid per project or assignment, but some get paid per hour. How much you make depends on the work you’re doing along with the client’s budget. However, this is a flexible job that can allow you to earn a part- or full-time income. Plus, like virtual assistant work, you set your own schedule which is great for busy parents who prefer to work when their kids are asleep or at school. With so many options to choose from, you may be wondering where to start. Do you want to be an independent contractor or work remotely for a company and receive benefits? Consider your current interests, skill level, and how much you’re looking to earn when it comes to choosing the right work-from-home job. 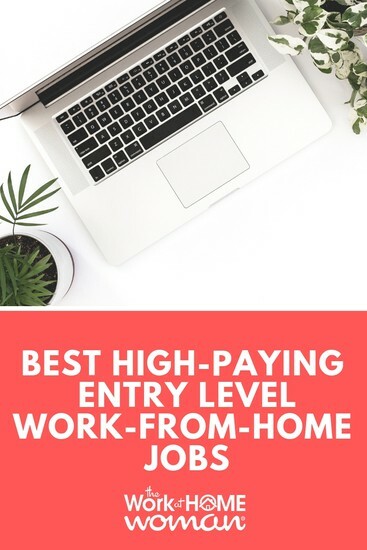 Once you carefully weigh all these factors, you’ll be sure to find the best profitable entry-level work-from-home job for you. Chonce Maddox is a freelance writer and founder of the blog, My Debt Epiphany. She loves to encourage other women to make more money and find their own form of balance between their life and career. Chonce enjoys spending time with her son along with baking and crafting during her spare time. Interested in remote chat jobs from home.